Snorkelling is an amazing way to explore a variety of marine environments, with coral reefs being the most popular. Snorkelling is a relatively low-intensity activity that can be enjoyed by a diverse range of people. 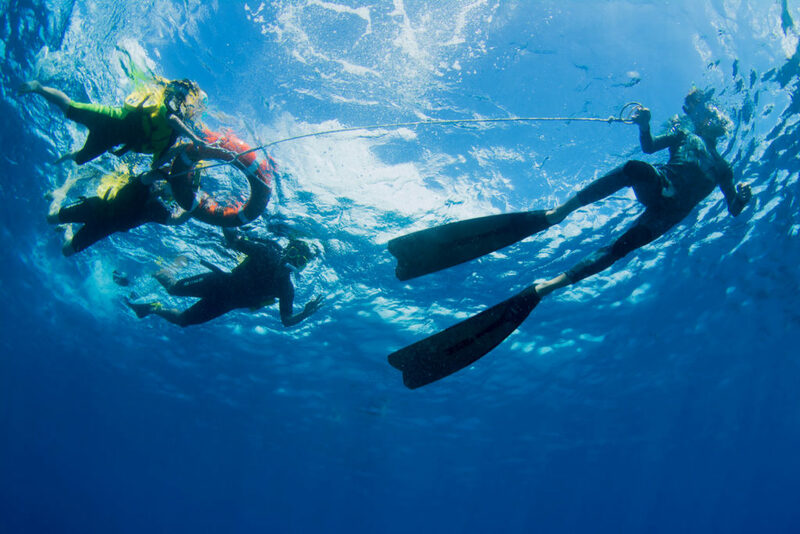 While the mechanics of snorkelling are fairly straightforward, for those new to snorkelling, the mixture of water and unfamiliar equipment can be a bit daunting. 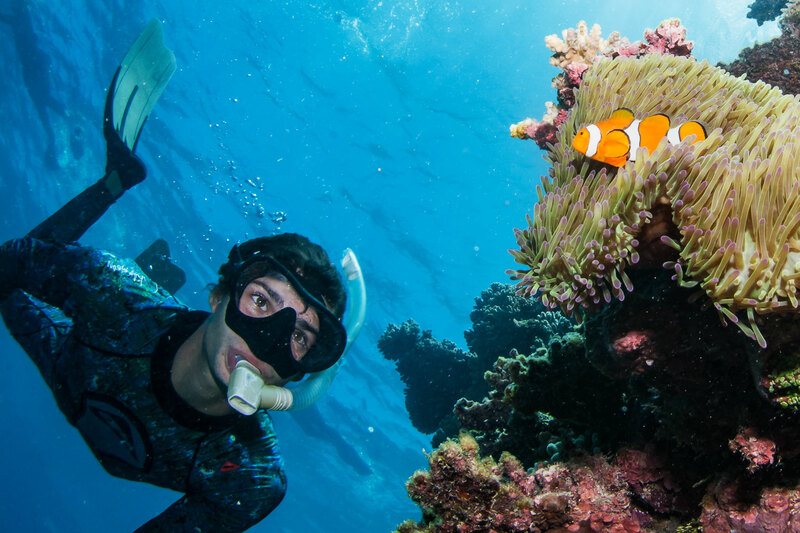 For this blog, we thought we would address 5 common snorkel fails and how to fix them so you can make the most of your Great Barrier Reef tour. It may not seem like a big deal, but many snorkelers will actually wear their snorkel on the wrong side of their mask—the right side. While this is not a huge deal, it should be noted that snorkels are traditionally worn on the left side of the head. This is because snorkels are a necessary accessory for scuba diving, and are positioned on the left side to avoid entangling with the regulator hoses on the right side. New to snorkelling but want to look the part? Keep that sucker on the left side. #2 How low can you go? Novice snorkelers understandably want to have as much of the snorkel above the water line as possible, so that the top stays clear of the water. While this may seem like common sense, most snorkels have a specific design quality that makes the ideal place to attach it to the mask closer to the middle of the snorkel. Some snorkels especially feature a flexible portion near the mouthpiece. If the snorkel is attached on this flexible part, the snorkel can actually limp down into the water. So if you are unsure of where to attach your snorkel, a good rule is that the bend should follow your jaw. Snorkelling is an incredibly fun activity, and most people on snorkel trips are with friends and family. Everyone wants photos, and what do you do for a photo? SMILE! However, while you’re snorkelling, you actually want to close your lips over the mouthpiece to make a seal; if you smile, it is an easy way to get water in your mouth—definitely not pleasant! New snorkelers are understandably a bit nervous in the water, and can be a bit panicky. The rush of adrenaline and the thought of the open ocean is enough to raise anyone’s pulse. This can lead people to taking shallow, rapid breaths. This increases the risk of water getting into the snorkel, as the panicked breathing creates a greater pressure for water to get in. The best advice? RELAX! Breathe nice and slow, nice and gentle. By concentrating on breathing more efficiently, you’ll have an easier time in the water. Visitors to the reef do not need to be professionals when it comes to snorkelling or using the equipment. Indeed, first time snorkelers usually have the best success because they listen intently to the snorkel lessons and use the gear as instructed. One last piece of advice though: Check the snorkel really quickly before you jump in. Is the mouthpiece chewed or dirty? If the snorkel has any flexible parts, are there holes? Faulty gear can be the cause of a lot of problems; while most boat staff are experts at looking after the equipment, you should never feel shy to ask a question if something doesn’t seem quite right. So there you have it. With these simple tips, you can have a head start on all those snorkel newbies out there. When you visit Passions of Paradise, just remember our staff are always there to help, and can even take you on a free guided tour! 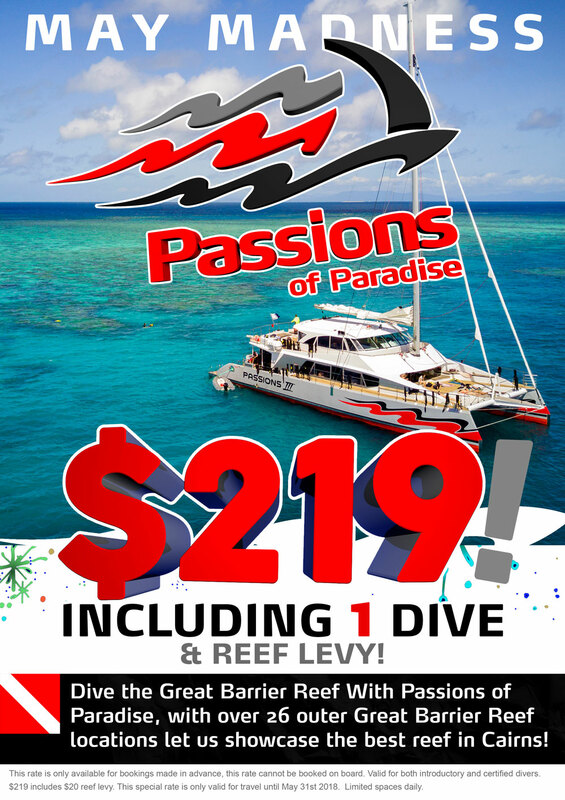 To find out more or to book a Great Barrier Reef Tour on Passions of Paradise, click one of the buttons below.